Out of failure, you can create something pretty tasty. That’s what the staff at Rig Hand Distillery near Nisku learned when they teamed up with Alberta Pulse Growers to create a fababean-based gin. “We were approached about a year ago by the Alberta Pulse Growers Association,” said Geoff Stewart, owner, president, and distiller with Rig Hand, which makes specialty gins and vodkas. The pulse commission was looking to develop new products for local markets. “They heard about us being crazy experimenters willing to try about anything, so they asked if we could make a vodka made from fababeans,” said Stewart. 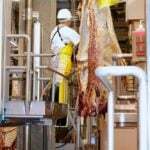 The Rig Hand team tried to remediate the protein, making nine batches of fababean vodka before throwing in the towel. But finally, Stewart came up with the solution, and decided to use some of the faba flowers as a botanical in a gin. They had to wait until the flowers bloomed, which was very late this year and didn’t occur until August. But it paid off. Rig Hand Distillery’s limited run of fababean flower gin sold out in 40 minutes. The test batch produced 120 bottles and when they were put on the shelves of Rig Hand’s retail outlet in Nisku, the entire run sold out in about 40 minutes. The only downfall of the process is that picking flowers means you don’t get beans from that plant. “But since we don’t need many flowers, I don’t think it will be a significant deterrent,” he said. Gin is basically vodka that is steamed through a cheesecloth bag containing botanicals, in this case the fababean flowers. Rig Hand plans to try making a gin with pea flowers next year, and is keen to work with local groups on other new creations. 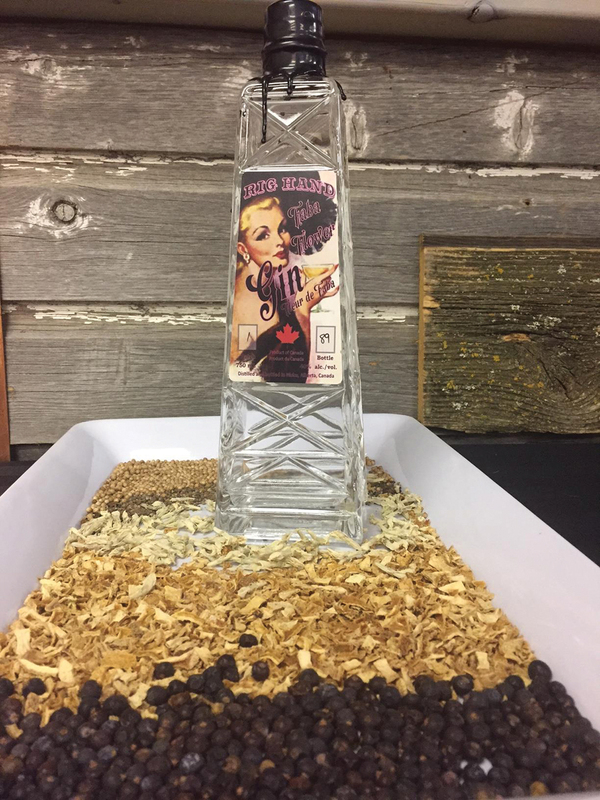 It’s had success making vodkas infused with saskatoon and hasp berries and among its current projects is a rum made from sugar beet molasses from Taber. 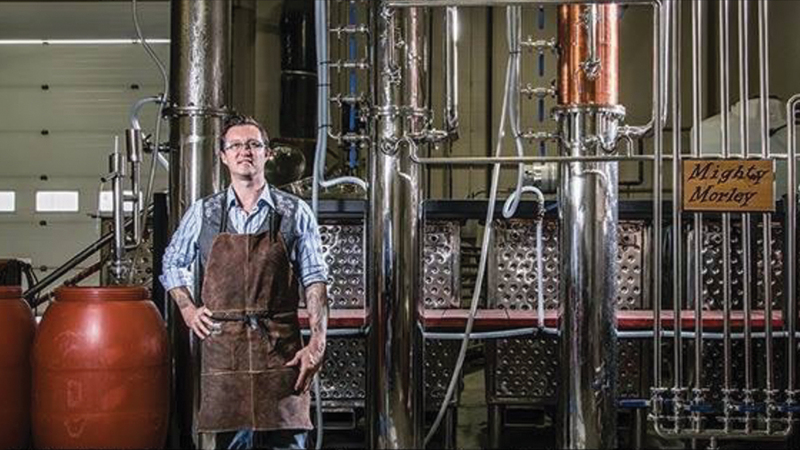 “We like to be on the cutting edge of the craft distilling industry in Alberta,” said Stewart. The company’s products are available in 500 liquor stores across the province, and at its distillery in Nisku. Rig Hand is Alberta’s largest craft distillery, and opened in October 2015.